A luxury underground made of marble and granite, the Moscow Metro is not just a means of public transport, but a special place full of impressive artworks dating to the epoch of socialist realism. 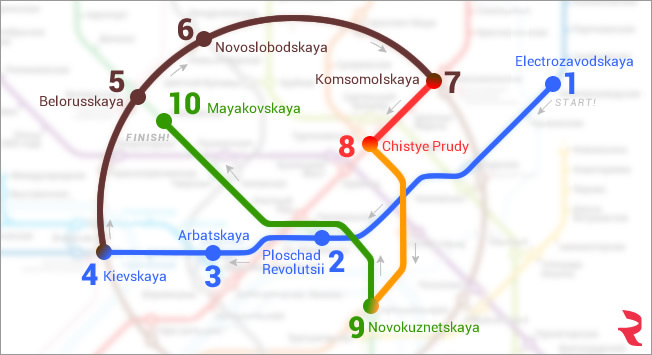 RBTH has mapped out its own route along Moscow’s most interesting Metro stations. Take a ride on the Moscow Metro for 28 rubles (about $0.50) with a “Troika” card and take an excursion along this route mapped out by RBTH. The Moscow Metro is open daily from 05:35 until 01:00. It opened in 1935.